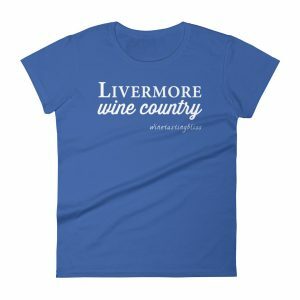 Talk winemaking and wineries in Livermore, and before long Earl and Linda Ault and their Cedar Mountain Winery come into the conversation. 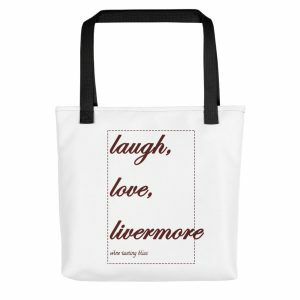 One of the founding families of the Livermore wine scene, they started their winery in the ’90s and were a source of inspiration and advice to the dozens of winemakers that followed them into the region. After pouring wine for decades from their Tesla Road tasting room, they relocated several miles east to Reuss Road. 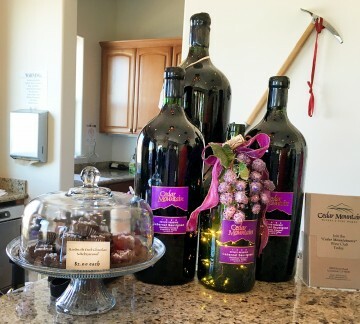 We recently had the chance to check out the new tasting room and catch up on their new releases! 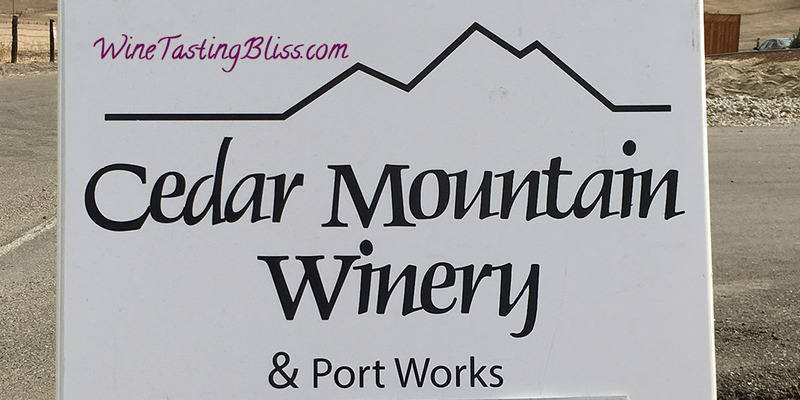 Fresh from our first tasting experience at McKahn Family Cellars, we made our way east on Tesla Road, past horse pastures and vineyards, to Reuss Road. The tasting room was hopping! Luckily, there was additional parking just up the hill from the tasting room, so we found a parking spot, soaked up the view a bit, and went into the tasting room. The tasting room was full of sunshine and laughter! The large windows brought in lots of light and relaxing views of pastures and ridgelines. Although there were interesting interior design details, like the hanging lights made from bottomless wine bottles, the outdoor views definitely stole the show. We were immediately greeted by Cindy, who has previously described herself as the “chief cook and bottle washer” of the winery. She remembered us, and set us up with their tasting menu and wine glasses all around. 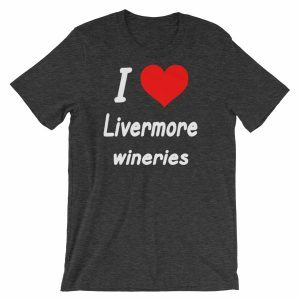 The first pour was their 2015 Sauvignon Blanc, from the Ghielmetti vineyard. Crisp and bracing, with a medley of papaya, apricot, banana and pineapple notes. 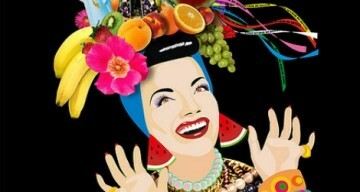 Pretty much Carmen Miranda’s hat, in a glass! Next up was their 2014 Duet, so named because it is 50% Cabernet Sauvignon and 50% Merlot. We enjoyed the anise and plum notes, with a fun hint of chocolate on the finish. From there we tasted their 2014 Reserve Zinfandel. Cindy told us that this wine was made from “ghost vines” because the vines had been uprooted from the former Cedar Mountain estate shortly after this harvest. The end of the line for these wonderful grapes, but at least they went out on a high note. We loved the smoke and cigar notes, with restrained layers fruit and a nice balance of acid and tannins. Cindy then poured a wine of her own creation, her 2012 ZealoUS Girls “Two Girls” Zinfandel. She told us the her ZealoUS Girls label was born in 2009, when a grape buyer unexpectedly reduced their requirements for grapes from the Ault’s vineyard. Rather than let the remaining grapes go to waste, Cindy jumped at the chance to create her own wine. We thought that her 2012 vintage was great, full of smooth fruit layers and a limited spice on the finish. We next sampled their 2010 Reserve ZinSyr. Pretty obviously a blend of Zinfandel and Syrah, we all thought that this was a perfect wine to pair with sweet and sour pork. We even thought that we could taste the orange zest! From the ZinSyr, we moved to the 2009 Reserve Syrah, which was enjoying a sale. We found it fruit forward and ready to drink now. Our final taste was their 2005 Touriga Nacional Port. Earl Ault is something of a legend in Port circles, and this Port is yet another example of his mastery. Classic plum and raisin flavors. If you don’t like this Port, you just don’t like Port. 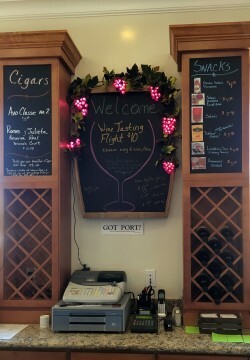 Of course, I LOVE Port, so I was in heaven. Eventually returning from heaven to the tasting room, we selected our wine to take home, said thank you and goodbye to Cindy and Earl, and set off toward our next tasting.